Who doesn't own an Android phone / tab now? This free workshop is aimed to orient you about the basic concepts of Android development. For enthusiastic youngster who plan to step on to mobile developer career, it may be your first step to success. Well, you have heard of Android, you may be having an Android phone, and know how Android apps are changing our lives. From gaming to shopping or healthcare, there are millions of apps available in the Google play store. Android is not just changing the lives of the users, but it is also changing the life of many developers too. Android Application Developers are highly in demand and you can surely enjoy a bright career future by getting on to this platform. If you are on the lookout for a start in Android, STEPS is offering an opportunity to know more about Android Development through our FREE ANDROID WORKSHOP. Android is an open-source software stack for mobile devices that include an operating system, middleware and key applications. 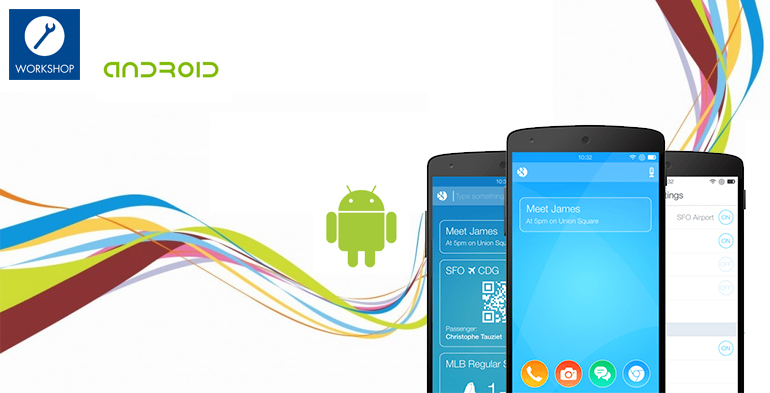 Android's mobile operating system is based on a modified version of the Linux kernel. The Android Open Source Project (AOSP) is tasked with the maintenance and further development of Android. Its open-source software stack consists of Java applications running on a Java-based, object-oriented application framework on top of Java core libraries running on a Dalvik virtual machine featuring JIT compilation. Android is now the most widely used operating system and statistics shows Android has 80% market share in the smart phone industry. It has a large community of developers also developing application programs ("apps") that extend the functionality of the devices. There are over 150,000 apps available for Android and most of them are free. Google took a wildly different approach with Android than Apple did with iOS. Any hardware maker can use Android free of charge. Since Android is the product from Google it already packed with excellent Google services like Gmail, Google Now, and Google Maps etc. Most of the customization has already been done for the manufacturers like Samsung and HTC etc, they are able to flood the market with many cheap smart phones, which makes Android a highly popular choice. Our Android Workshop is custom-designed for young professionals as well as experienced developers who would like to start fresh in Android Development. The workshop will cover all the basics, which one need to know in order to become an Android developer. It covers topics from installing android SDK, creating Google Play account and publishing your own android applications. What is the importance of knowing android in this time? How create your own android Mobile and Tablet Application. How to create an account in Google Play. Persons having interest in Android Technology. College students seeking a career in Mobile Development. Faculty & Staff of colleges and other institutions. Basic knowledge of how to use computers. Basic knowledge of Web & Internet. A little knowledge about Java programming techniques is an added advantage.